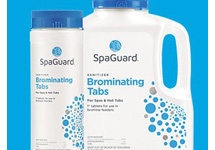 Killing bacteria is key to spa maintenance. 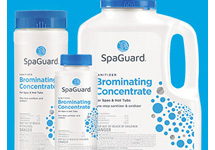 In a spa, sanitizers are added to control the growth of bacteria and algae. The warm water environment of the spa is conducive to growth, making sanitization essential to having a clean spa that is suitable for bathers. Although the chemical reactions that occur to sanitize a spa are the same as in a pool, the reactions in a spa happen at a much faster rate. Chemicals become more reactive and tend to be used up more quickly than in a pool, requiring frequent chemical additions to maintain proper sanitizer residuals.